G. Aric Giddens, M.D. and M. Andrea Giddens, M.D. Jennifer B. Fredrickson, D.N.P, F.N.P. I love Dr. McAdory. She is super sweet and takes the time to listen to you"
"Great group of doctors and very awesome nursing and office staff." "I became a patient of Dr. Wortham's 6 years ago. He has been such a blessing." "Dr. Albritton goes above and beyond in his level of kindness." "All receptionists and nurses are awesome. Mrs. Kirkland is beyond professional." "Dr. Bannister is an amazing doctor, I love her so much. She is the best doctor." "Everyone in the office is so nice and Dr. Thompson is very knowledgeable and caring." "The staff has always been friendly and helpful. I love Dr. McAdory. " "Dr Manejwala and his staff were informative and thorough during my exam." It is MOGA: Memphis Obstetrics and Gynecological Association’s desire to be convenient to our patients: Our offices are located in Memphis, Tennessee adjacent to Baptist Memorial Hospital for Women, in Germantown, Tennessee on the campus of Methodist Hospital Germantown, in Bartlett, Tennessee near St. Francis Bartlett, and in Southaven, Mississippi near Baptist Memorial Hospital Desoto. Our practice is dedicated solely to a woman’s care-- helping her maintain good health during puberty, through pregnancy, menopause, and throughout later life. We continue to practice by the belief that preventive care is still the best care. Therefore, we offer screening mammography and bone densitometry in all of our locations. 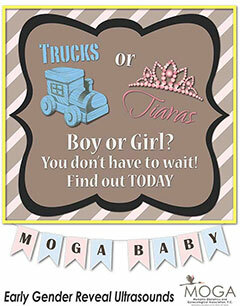 MOGA: Memphis Obstetrics & Gynecological Association, P.C. was founded in 1985 by Drs. John Gayden and Henry Leigh Adkins. What began as a small practice with only one location and less than ten employees has grown into the largest private women's health practice in the Mid-South area. Delivering Excellence for Over 30 years. Your doctor should be someone you select because the choice of a provider, and the ongoing relationship that is shared, are unique and very special. MOGA has over 35 physicians and nurse practitioners to care for you giving our patients a wide variety of options. Our physicians rotate after- hours call so there is always someone available to address urgent problems. After- hours call is also staffed by a nurse who can assist with questions that may arise. We are here for you. Pay your bill, request an appointment or submit a medical question. We strongly recommend patients complete the patient portal check-in prior to their appointment for their time and convenience. The quickest, easiest way to make a payment. Click below to pay your bill. Learn more about the latest in mammography technology: Genius™ 3D Mammography™. See how 3D is revolutionizing mammography exams and why you should get one! You are what you Eat and this applies to your kids too! If feeding a newborn is important, feeding growing children should be equally important. Other Divisions of Memphis Obstetrics & Gynecological Association, P.C.